With Broadway focused on the 2014 Tony Award nominees, Regent Seven Seas Cruises introduced 12 exciting new productions exclusively for Seven Seas Voyager, Seven Seas Mariner and Seven Seas Navigator. In the past 14 months, the cruise industry’s most inclusive luxury line has significantly upgraded its entertainment offerings, encouraging world travelers and theater lovers alike to look to the high seas and its award-winning fleet. 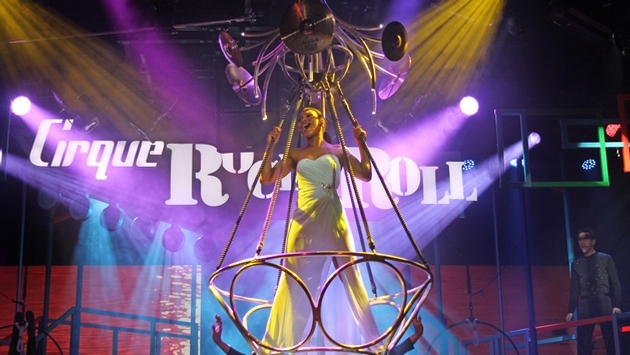 “Cirque Rock ‘n’ Roll” leaves guests absolutely spellbound with a musical tour through the history of this timeless genre. From Elvis Presley to Michael Jackson and Aerosmith to Beyoncé, this sweeping epic number features jaw-dropping aerial performances on a multilevel industrial steel apparatus. “Dancing in the Streets” is reminiscent of those cool summer nights cruising the streets of America. The show features an orchestrated medley with music from The Four Tops, The Temptations, Lionel Richie and The Jackson Five. “The Piano Men” this original production offers a night of well-known favorite songs by Elton John and Billy Joel performed by the Regent Signature Orchestra. “Cirque Navigator” transports the audience to a fantasy forest with choreography showcasing modern dance, aerial feats, Celtic dance and classic ballroom routines. “Dawning of Aquarius” is a 1960s retrospective performance featuring music from The 5thDimension, The Beatles and The Rolling Stones. “Cirque L’Amour” is tribute to the city of Paris and its renowned nightlife featuring a stunning aerial ballet with romantic displays of human power and trust. “Come Sail Away” resurrects the 70’s with the music from the Divas of Disco: Donna Summer, Gloria Gaynor and Alecia Bridges, as well as favorites by The Carpenters, The Bee Gees along with television themes including “M*A*S*H*,” among others. “Dancing to the Hits” is a stunning display of ballroom dance with music by pop favorites Lady Gaga, Justin Timberlake and Adele. 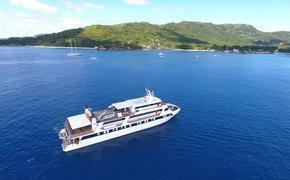 The summer 2014 season features a refreshed and rejuvenated fleet, as each of the line’s ships has undergone a multi-million dollar refurbishment that exudes an aura of Park Avenue elegance and sophistication. The two-deck high, state-of-the-art show theatres across the fleet were renovated with new carpeting, upholstery, wall coverings, cocktail tables, wall sconces, banquettes and chairs to provide additional comfort for our guests. To receive a brochure or for more information on Regent Seven Seas Cruises, visit www.RSSC.com, call toll-free 800-285-1835 or contact a professional travel agent.